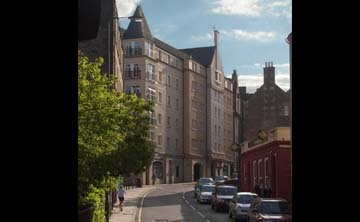 This entire street, leading west out of the Grassmarket, was salvaged from demolition and restored to flats and shops wth infill housing to the gap sites. The project is understated architecturally but represents significant urban regeneration and an important contribution to the townscape. 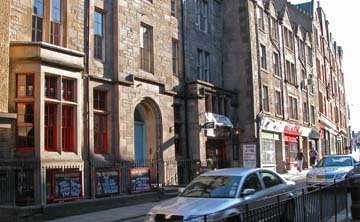 Edinburgh had lost certain areas of buildings to accomodate 'raod improvements'. There were visions of remarkable boldness that almost competed with Glasgow in the civic devastation perpetrated by the Roads Engineer. 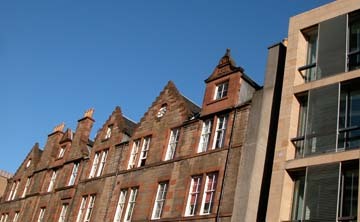 The reinstatement of areas such as West Port has helped to restore the historic grain of the city. 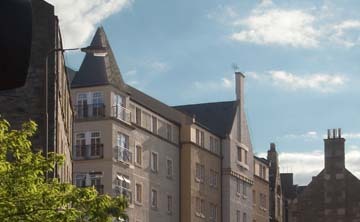 The development is traditionally configured with ground floor shops and bars, with mixed tenure flats above.